Welcome today's guest, Kaye George. 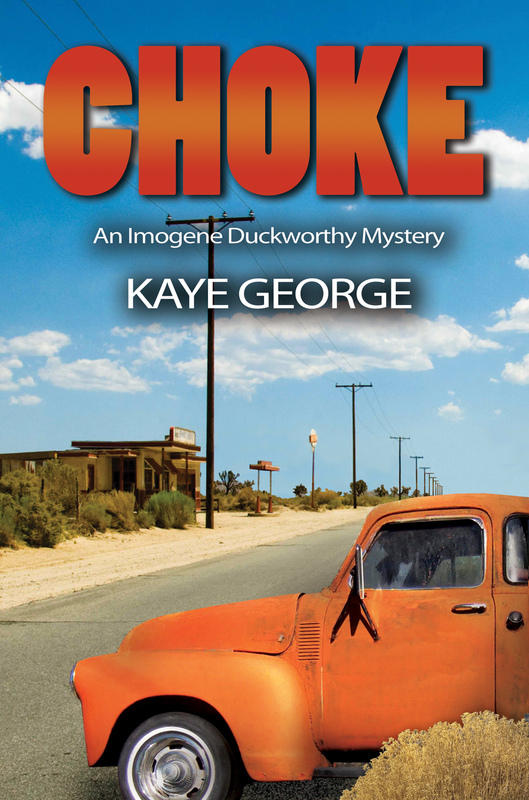 An Agatha nominated short story writer, Kaye is the author of CHOKE: An Imogene Duckworthy Mystery (Mainly Murder Press), as well as A PATCHWORK OF STORIES, a collection of her previously published stories, and THE BAVARIAN KRISP CAPER, available at Untreed Reads. FISH TALES: The Guppy Anthology contains her story, "The Truck Contest". 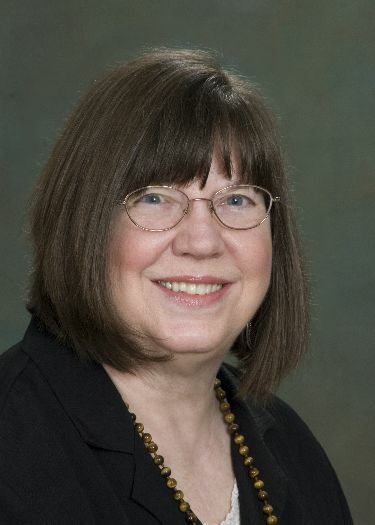 She reviews for "Suspense Magazine", and writes for several newsletters and blogs. She, her husband, and a rescued feral cat named Agamemnon live together in Texas, near Austin. Visit Kaye at kayegeorge.com, travelswithkaye.blogspot.com, and allthingswriting.blogspot.com. Once upon a time there was one writer who liked to write short stories. She wanted to get one published. She wrote one. She sent it to one prestigious magazine. She got one rejection slip. She wrote another. She wrote many, but didn't get any published. Instead she had one drawer full of rejections slips. Years went by. The she decided she wanted to get one novel published. So she wrote one. She sent it to one agent. She got one rejection slip. She wrote more novels and got more rejection slips. Eventually, she had one file drawer full of them. Meanwhile, frustrated with the novels, she returned to writing short stories and got one published. She danced and shouted for joy. Then she got another one published. But she still wanted to get just one novel into print. She wrote more of them and collected more rejection slips. Years went by. Then, one day, one publisher wanted to see her latest novel. She danced and shouted for joy. The publisher bought her novel and she now has one book for sale! How about the song made popular by Three Dog Night, "One is the loneliest number that you'll ever do"? That applies to writers, to a degree. A writer, unless doing a collaboration, writes alone. I consider writing one of the loneliest things I've ever done. Until I attend a conference and meet up with all the other writers (All the Lonely People?). I'll stick one other reference in here. "One small step." We writers take things one step at a time. Writer, revise, edit, rewrite, rewrite, rewrite, submit, resubmit, resubmit, etc. If we repeat the steps enough times (waaay more than one! ), we might eventually have publishing success. I hope you've enjoyed my little riff on the number one. Nice. Very clever riff. Also very true. I've had two stories published but I'm still waiting for novel one to get accepted. I know, I know, resubmit, ad infinitum, ad nauseum. It's easy when your blog hosts give you a topic to riff on. Thanks, Barbara! And thanks, Pens Fatales for having me. I love it! One very important thing to remember, that it only takes one. ;-) thanks for visiting!! It's true writing can be such a solitary pursuit, which is one of the reasons I was so happy to meet you at Left Coast Crime! Thanks all. I like these fun comments, too! I loved meeting you there, too, Gigi! At very con I meet people I've known only online. I wish I could go to more of them. Loved this Fairy Tale. But, of course there will be more books to follow CHOKE. I hope so, Marilyn! They're written, just need to get them published. Well, one is written, the other in progress.